I’ve been thinking a lot about tough skin this week. It’s come up a couple times. As a sensitive soul, I have been told more than once in my life that I need to have thicker skin. But now I know, it’s the sensitive ones that change the world. It’s the sensitive ones that feel so deeply they have to speak up. It’s the sensitive ones that make a difference. I’ve been watching these young teenagers speak up over the last week. About their truth. About their anger. About what they think needs to change. And it’s so reassuring to me. Being sensitive is a direct connection from heart to soul. It’s a filter that doesn’t allow anything else in but the truth to come out. It also requires a sense of inner peace, to be strong enough to feel what’s real. 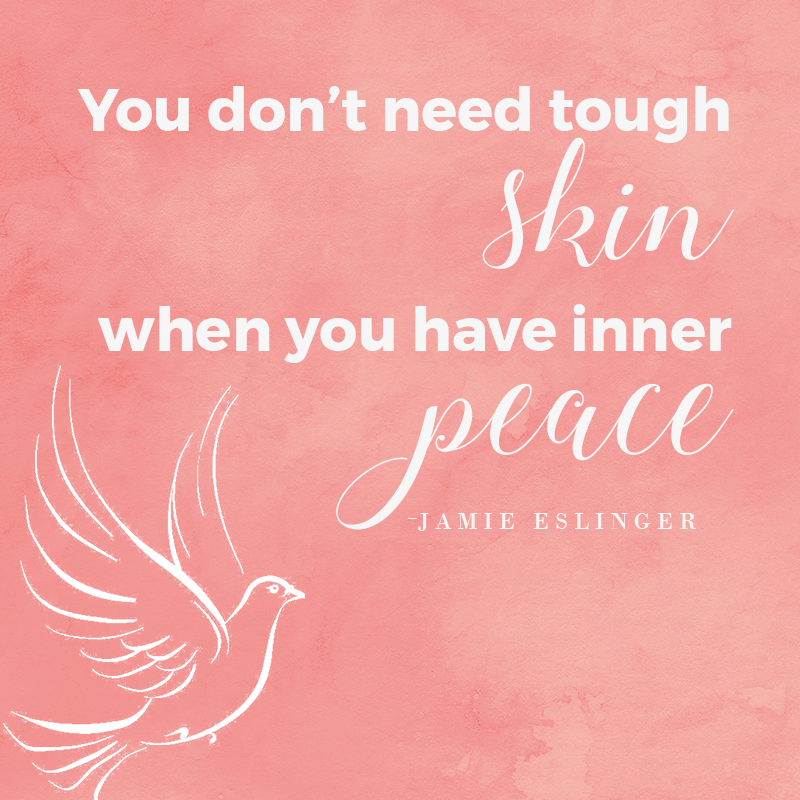 You don’t need tough skin when you have inner peace.